Senior JP Dewey will travel to Rochester this weekend for the NYSSMA Conference All-State Jazz Ensemble. Dewey will attend the conference from November 29-December 2. Dewey will play the piano in the 20-piece ensemble. 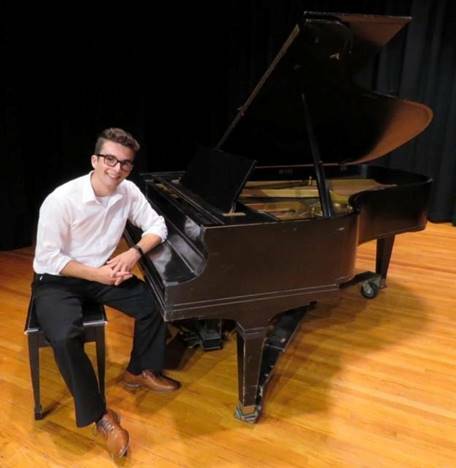 He received a perfect score on his all-state solo in May, and was selected to this based on recommendations from the all-state selection committee. Just seven pianists took the challenge of performing a NYSSMA all-state solo. Of those students, just two – including Dewey – made the cut. Overall, there are 950 districts across the state with nearly 6,500 students auditioning to be potential all-state performers. Of the eight performance ensembles represented at the conference, 889 students were chosen their respective schools.